For a doctor to evaluate the results of a series of PSA results, he can be assisted by a regression analysis of past results. Although his experience and expertise are essential to the making of the final interpretation of the results, his judgment can be critical for the patient and should be assisted in every way possible. The links below illustrate how the magnitude of the values on PSA results that can be projected from a limited number of measurements. The doctor can take advantage of the use of the results in explaining the tenuous nature of any projection. The patient should realize that there are definite limits to the doctor’s capability of making a definitive estimate as to the rate of progression of the magnitude of PSA results but regression analysis can provide confidence levels. The implications drawn regarding the progress of prostate cancer from the projection of the PSA remains dependent upon the medical interpretation by the doctor. There are several techniques for making future estimates of future PSA measures. Before too much validity is assumed for these projections, one should see how well they would have projected previous measures of their PSA . 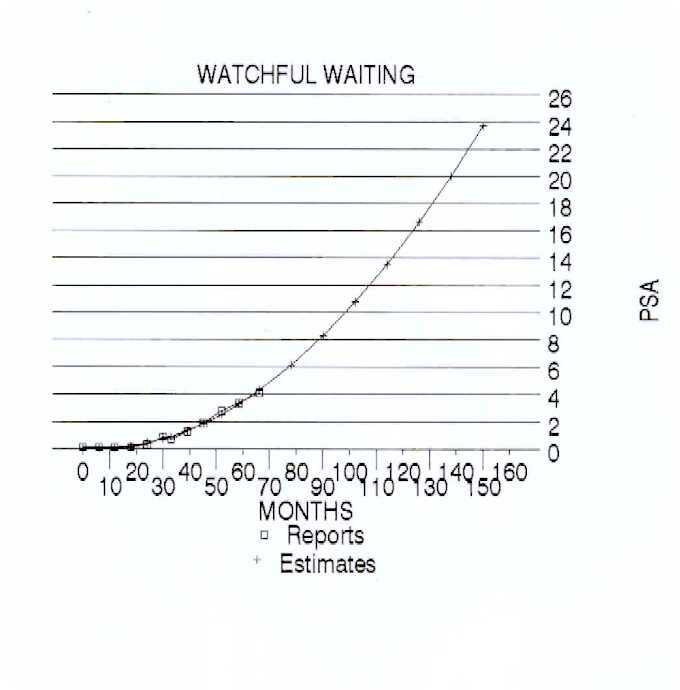 While the estimates may have been relevant in the past, it does not guarantee future accuracy since a change of medicines or treatments can change the PSA values. Other methods for projecting statistical measures are shown in the following links. Before anyone puts too much faith in these estimates, they should shake their confidence in the relevancy to all situations by projecting the results of other measures such as pulse rate or blood pressure.